Imagine having the emotional state of confidence in the snap of your fingers... without even trying at a conscious level. It's possible, if you put your unconscious to work for you. One of the comments people always remark about me is how I can be so confident in person, on stage, or even on a National TV show. It's true. I have mastered the ability to feel super confident without being arrogant or stuck-up. And, I didn’t always have this level of poise under pressure. 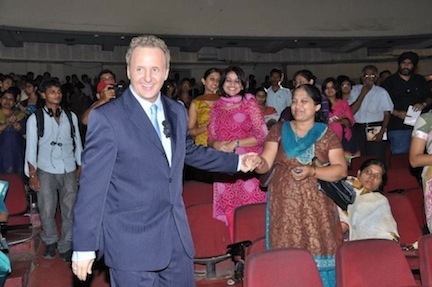 Many people think I am a natural with standing on stage and looking relaxed or telling jokes sitting around the table. Nope, it took a lot of work to kill that inner voice of doubt and erase the concern of people liking me. You can do it too. 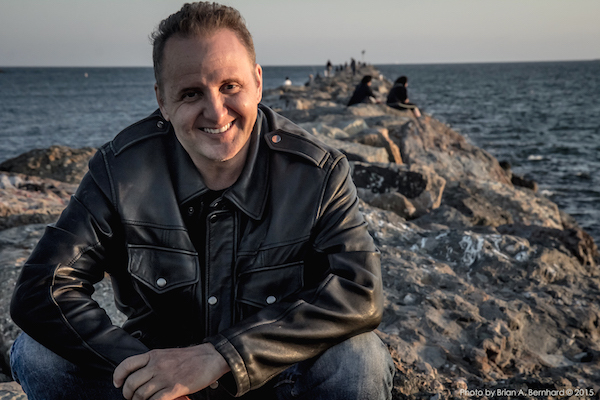 In a moment, I'll tell you a true and very personal story of how 2 profoundly simple mental tools changed my destiny and thousands of others around the world. I mention this because you can use a newer, better, faster, and improved version of what turned my self-esteem from a teenaged, zit-faced kid (Low Confidence) to the well adjusted, world travelled, playful person that I am today. But first, let me properly introduce myself. I’m Bart Baggett. You may know me from my many appearances on shows like CNN’s Larry King Live, The Howard Stern Show, the Today Show, and even articles in the Wall Street Journal and USA today. But, trust me, it wasn’t always that way. When I was a kid, I was super skinny, had buck teeth, asthma, and even had to suffer the embarrassment using “free lunch tickets” for school lunches. That’s like waving a flag letting everyone know your family was poor. I wasn’t particularly good at sports or math. I can tell you now if my 8th grade English teacher knew I wrote 8 non-fiction self-help books and even a few best sellers… She would have passed out in shock and disbelief. I tell you this because things only changed for me when I realized that my mind, my character, my goals, my success, and my self-esteem were something I could change and someone was kind enough to show me how. When I was just 14 years old I met a man named Dr. Ray and he analyzed my handwriting and quickly spotted my sensitivity, insecurities, and lack of self-confidence. What’s more... He didn’t just judge me, he sat down with me and taught me guided meditation to actually boost my self-confidence, raise my esteem, and unblock my inner most fears. This was my first introduction to concepts like meditation, language, the power of the mind, handwriting analysis, and even hypnosis. Without those guided meditation sessions 28 years ago, you wouldn’t be reading my latest books and I would have never had the confidence to take the stage and share my gifts in the forms of books, lectures, and TV shows. You see, Dr. Ray has long passed away and I have never shared my guided meditation technique for building self-confidence with anyone outside of a live high-priced 3-day seminar. For trainings like that, a corporation would invest between $15,000-$35,000 to tap into the knowledge inside my head. At those private corporate trainings, I often lead the entire audience, both men and women, through a in-depth "Unstoppable Confidence" guided meditation. They love it. For many, it is their favorite part of the live event. You can actually re-wire your thinking and make different choices at the unconscious level. If you are really wanting to MAKE A CHANGE now and learn to literally THINK DIFFERENTLY starting today... there is a short cut. 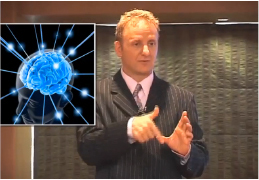 I teach my audiences worldwide how to use internal language based in Neurolinguistic Programming and even advanced hypnosis language patterns to quickly change their old, rusty thinking habits. It’s always one of the favorite sessions because it requires no work on the part of the audience. Plus, these sessions do not duplicate anything you are gong to read inside the book... the ideas are in addition to the ideas you are going to start when you download the short book. It reminds me of the days when Dr. Ray told me to close my eyes and just listen. You just sit back and close your eyes. Because of my background in NLP, Time Line Therapy, and Hypnosis, I’m able to guide them to feel more confident and release lifelong insecurities often in less than 30 minutes just with a simple guided meditation session. Do you know anyone who feels stuck inside their head? Do you know anyone who has so many insecure feelings they often just sit quietly by... afraid to speak their mind? Do you know anyone one that could benefit from an increase in self-confidence? If so, then the mental technique I am about to reveal is going to be a turning point in your life. With your eyes closed and in a relaxed meditative state of mind. Until now, the only way you could get my guided meditation to help you feel a sense of Unstoppable Confidence was if you happened to attend one of my in-person live trainings. For the first time, I’m releasing this amazing Unstoppable Confidence guided meditation in a portable personal audio format. For the first time ever, it’s now available for you as an audio download so you can listen to it on your phone, iPad, or computer... Anywhere you travel. What’s more, I’ve combined the Unstoppable Confidence mental programming words with something called binaural beat, which have been scientifically proven to increase retention and help you reach a meditative state faster and easier. Honestly, this program is so much more effective than even I could do from stage with a microphone. And, you can't duplicate the process inside a book... I didn't even try. It's a totally unique program. The affirmations, stories and meditations your about to listen to have all been created using the most advanced positive psychology, brain research, and cutting edge technologies that will allow you to easily and comfortably make all the necessary changes required to achieve your goals and ultimate lifestyle. A relaxed, undisturbed setting is required. 1) The rhythmic background music and special audio effects. 2) The 3D sound Holosync™ cross-fading recording method that makes you feel like you are sitting in the room with me. 3) Two voices helping change your unconscious which creates a unique listening experience. 4) Powerful NLP based language patterns which bypass your current beliefs and install new ones... Almost automatically. It takes just 3 weeks to quickly and easily discover a new level of Self Confidence like you’ve never felt before. But, it won’t take 3 weeks to feel different. You will feel more powerful after the very first session. Plus, I recruited a second expert to add another dimension to your listening experience. In this 3-part program, I incorporated the expertise of Mel Zabel--a published author and meditation expert. 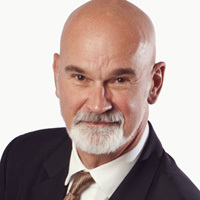 What’s more, Mel is also an expert on brain neural entrainment technologies and NLP. Together, we’ve created a program so unique... You will find yourself listening to these audio tracks over and over again. Week 1: My voice alone, with subtle binaural beats. You become accustomed to the teaching and the entrainment on week one. Week 3: This is the shortest and most powerful recording of them all. Incorporating cross hemispheric entrainment through Mel’s proprietary entrainment technologies, including both of our voices taking you to a place of confident positive change. This is a simple and scientifically proven technique that will begin reprogramming your mind from the very first time you listen to the first audio recording. Curious? Let me take away the risk. I’m going to offer you the same guarantee I’ve offered for the past 23 years in business. If you don’t absolutely LOVE this system, you can have a 100% refund! AND… even keep the audio files as a gift. I’ll take all the risk off your shoulders because I sincerely believe this program will change your life and those of your friends and family for the better. Plus, as a bonus... I am giving you permission to share the audio files with your family or your spouse! Building your self-confidence has never been easier. To have the confidence to command the price you know you’re worth? To be with the partner of your dreams? To walk in a room and own the room? You can grab Instant Access for just $197. Even if your self-confidence is through the roof, can you think of anyone in your life who could use that extra boost of esteem? 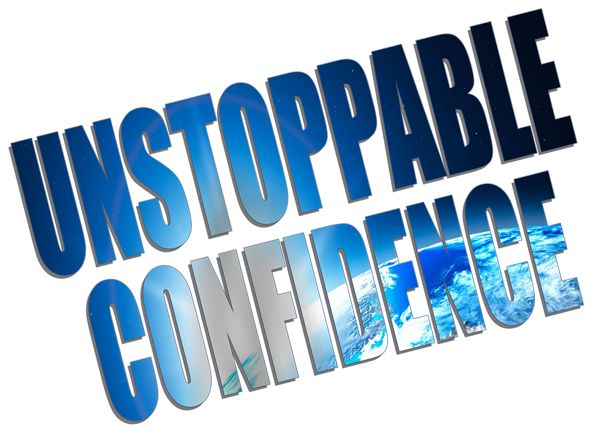 Grab the Unstoppable Confidence complete guided meditation course for them. Click below to download "Unstoppable Confidence" for just $197!